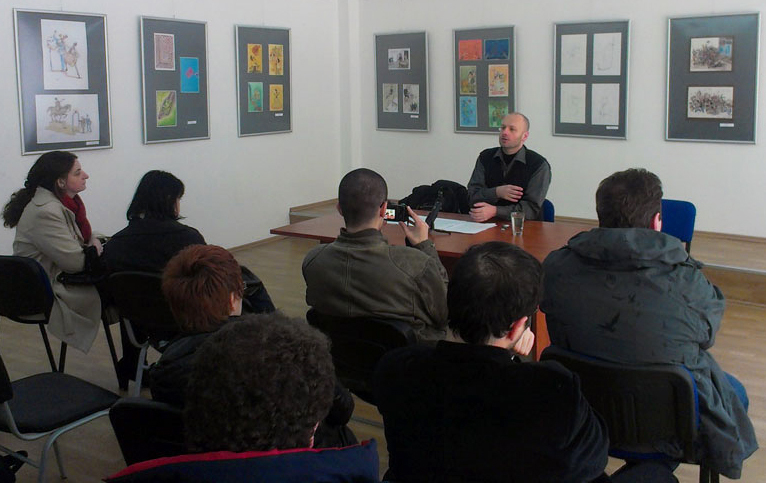 The Gallery Osten held the first event of the 2013 annual program of the Centre for Culture and Cultural Studies (CCCS) titled “Culture as a Lifestyle: a meeting with novelist Goce Smilevski”. The novelist spoke about literature and exile in the work of playwright Goran Stefanovski, as well as the subject of intercultural communication. CCCS’s program is set to continue in the upcoming months in different spaces and localities throughout Skopje and Macedonia.